Original Floatron solar pool purifier. BEWARE and DONT get ripped off with cheap fakes!! This is the only one and original Floatron!! We have the REAL THING. Other purifiers as the Clorotron or Aquatronic are chinese, made and low quality imitations. BEWARE. Should you be sold a "Floatron" and isn't exactly as the one represented on the photo below, you've been ripped off and you should report it to the consumer association. The Floatron Water Purifiers offer a Clean, bacteria and Algae free swimming pool. 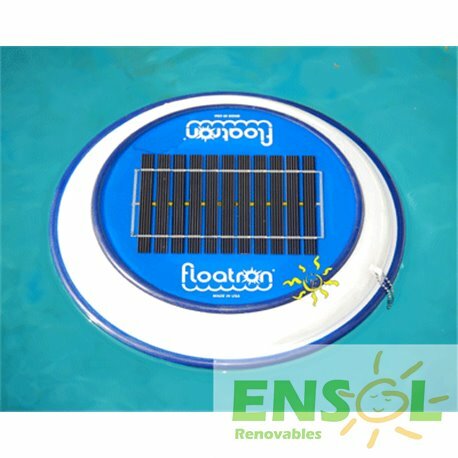 The Floatron is the original portable and floating water purifier combining solar electric power generation with ionization, resulting in the only solar ionizer manufactured today. By introducing atomic amounts of specific minerals into water, microorganisms such as algae and bacteria cannot survive. While these ions, or atoms, are completely safe and nontoxic to you, microscopic life forms cannot exist under their influence. Unlike chlorine, which loses potency after only hours, the mineral ions produced by the floatron remain effective for weeks. 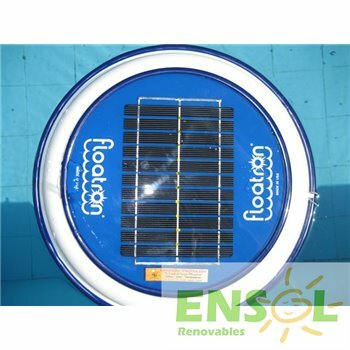 When floating on the water, sunlight is converted into electricity by the advanced technology photovoltaic panel. This harmless, low power current energizes a specially alloyed mineral electrode below waterline, causing the release of mineral ions into the surrounding water. 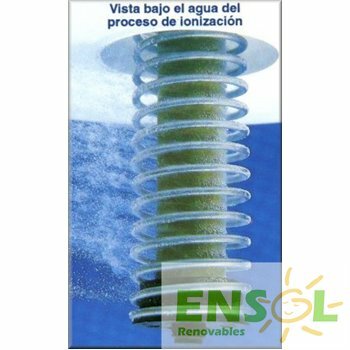 Ionized water , referred to as mineralized water, naturally and efficiently controls microorganism growth in your pool. Some contaminants in your pool such as dust, suntan lotion, body fluids, etc. are not affected by minerals. 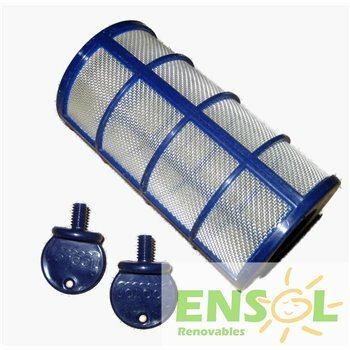 An accumulation of these things will tend to cloud the water, therefore a small amount of chlorine or any other oxidizer, is necessary to dissolve them to maintain crystal clear conditions. Only small amounts are necessary. Other oxidizers may be substituted such as bromine, hydrogen peroxide or oxygen based compounds, which are readily available at most pool supply stores. 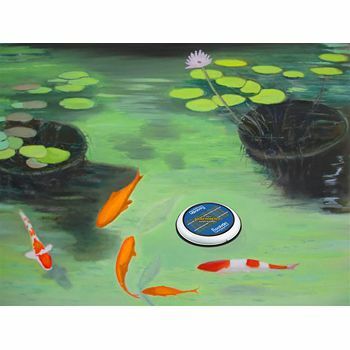 The Floatron is totally safe and non-toxic, with absolutely no electrical shock hazard. Swimming with the unit in the water is perfectly normal, and eliminates the irritations, odors, and bleaching associated with chlorine. floatron ionized water mineral levels fall within EPA established drinking water standards and avoids the toxicity of high chemical concentrations. Additionally, the water remains clear and stable for extended periods because the minerals do not evaporate out. Unlike chlorine, hot summer conditions do not degrade the performance of the mineral ions; in fact, the hotter it is the better it works! The floatron costs virtually nothing to power and operate. The only part requiring replacement is the sacrificial mineral electrode which will last approximately 1- 3 swimming seasons, and takes only a minute to change. Replacement cost is minimal. The Floatron is built to last; made in the USA under strict quality controls. No moving parts. Constructed of space-age polymers which are weather, water, sunlight, and chemical resistant. 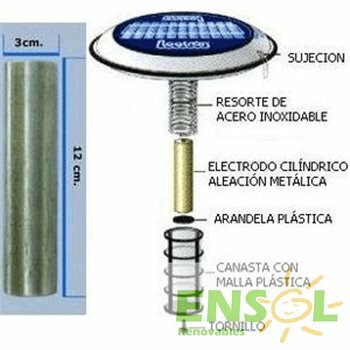 The solar panel incorporates the most efficient photovoltaic cells available. The mineral electrode is alloyed from a special combination of ultra pure elemental metals. AMP UP! 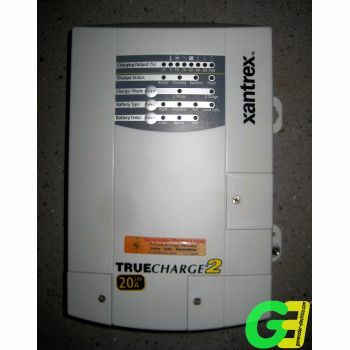 with the Xantrex TrueCharge2 10Amp 12V Battery Charger - Now with PARALLEL STACKING possibility! Alloy replacement screen basket for the Floatron purifier. Learn the science behind the power!. The Windmill Generator educational kit. Get your petrol generator with the Vanguard 7,5hp engine converted to butane or propane gas and save 50% on running costs! 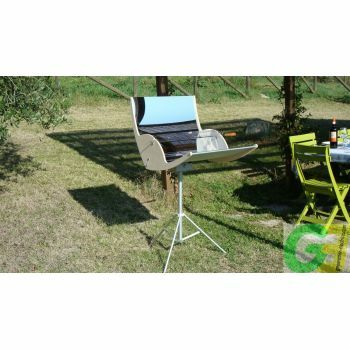 Biogrì: A new way of ecologic barbeque! !